Antique vehicle series (pre-1971 vehicles), since 1991. 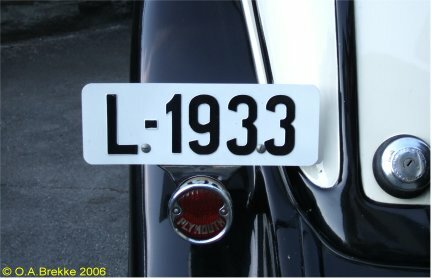 1929-42 plate style. No coding, owners choose the registration within the pre-1971 series. T used to denote Møre og Romsdal. Antique vehicle series (pre-1971 vehicles), since 1991. 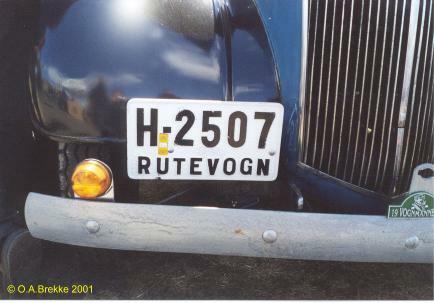 1929-42 plate style, although this vehicle is newer. 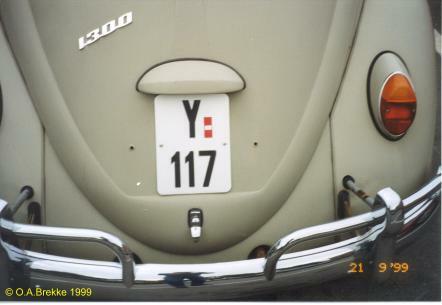 No coding, owners choose the registration within the pre-1971 series. E used to denote Oppland. 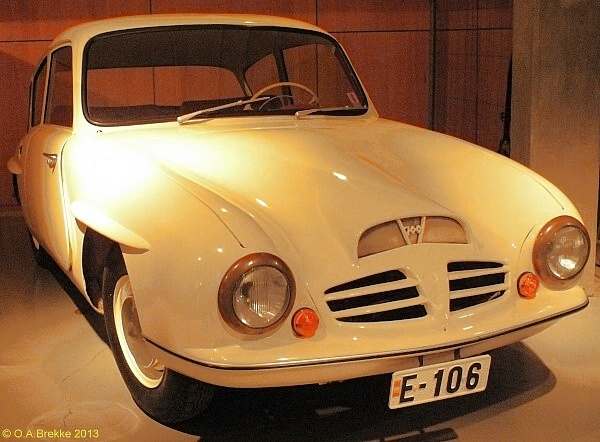 This is a Norwegian made Troll car. Antique vehicle series (pre-1971 vehicles), since 1991. 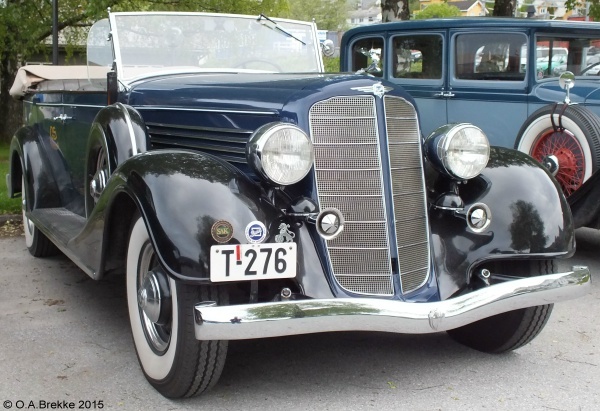 1929-42 plate style. No coding, owners choose the registration within the pre-1971 series. O used to denote Bergen. The N oval is part of the plate. Antique vehicle series (pre-1971 vehicles), since 1991. 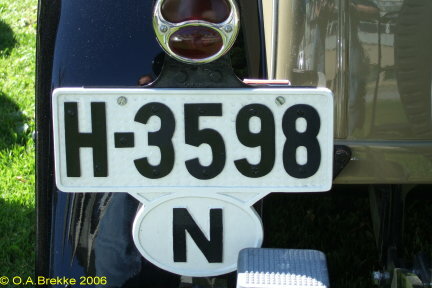 1929-42 plate style. No coding, owners choose the registration within the pre-1971 series. S used to denote Sogn og Fjordane. Antique vehicle series (pre-1971 vehicles), since 1991. 1929-42 plate style. No coding, owners choose the registration within the pre-1971 series. D used to denote Hedmark. Antique vehicle series (pre-1971 vehicles), since 1991. 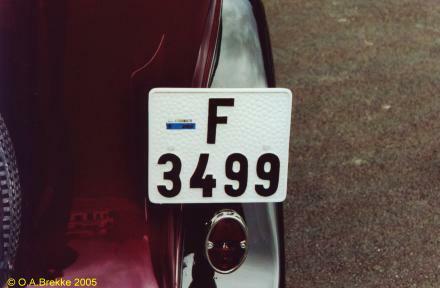 1929-42 plate style. No coding, owners choose the registration within the pre-1971 series. H used to denote Telemark. Antique vehicle series (pre-1971 vehicles), since 1991. 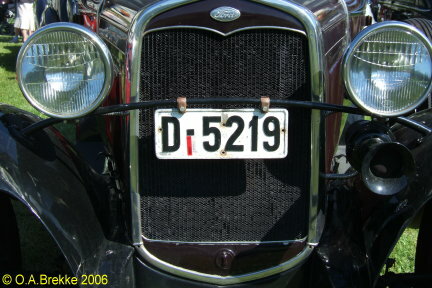 1929-42 plate style. 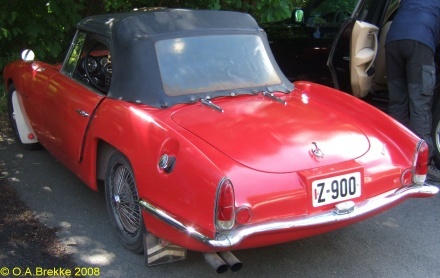 No coding, owners choose the registration within the pre-1971 series. R used to denote Hordaland. Antique vehicle series (pre-1971 vehicles), since 1991. 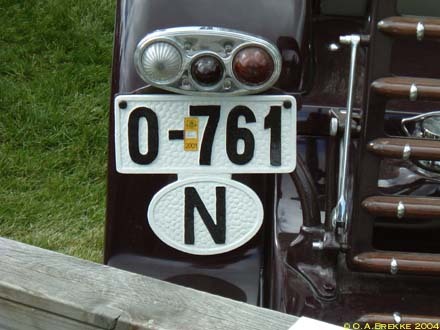 1929-42 plate style. 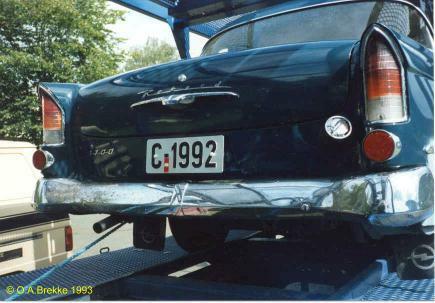 No coding, owners choose the registration within the pre-1971 series. F used to denote Buskerud. Antique vehicle series (pre-1971 vehicles), since 1991. 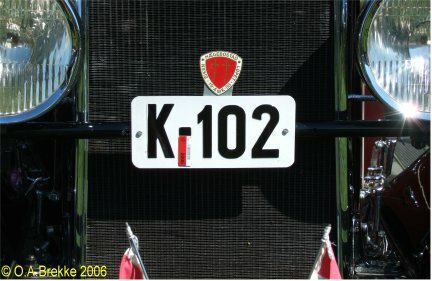 1929-42 plate style. No coding, owners choose the registration within the pre-1971 series. O used to denote Bergen. Antique vehicle series (pre-1971 vehicles), since 1991. 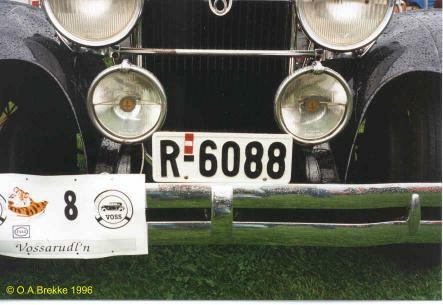 1929-42 plate style, although this vehicle is newer. 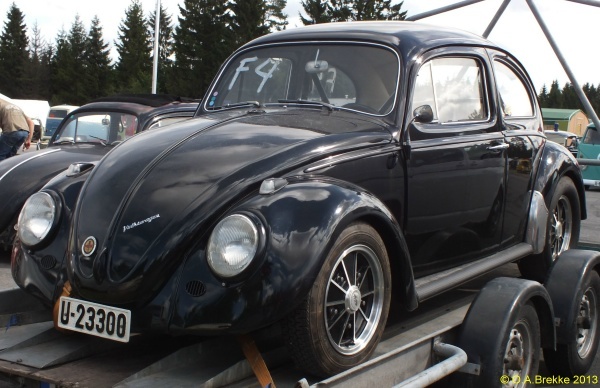 No coding, owners choose the registration within the pre-1971 series. U used to denote Sør-Trøndelag. Antique vehicle series (pre-1971 vehicles), since 1991. 1929-42 plate style. 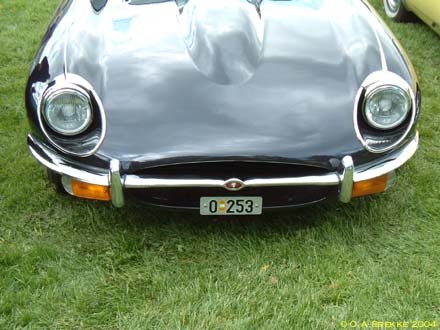 No coding, owners choose the registration within the pre-1971 series. H used to denote Telemark. 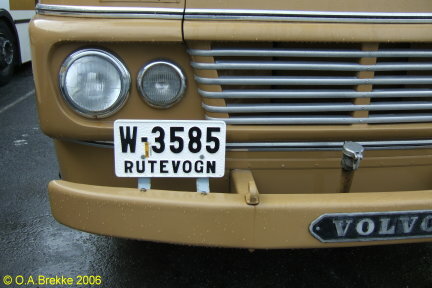 RUTEVOGN = Public service vehicle. Antique vehicle series (pre-1971 vehicles), since 1991. 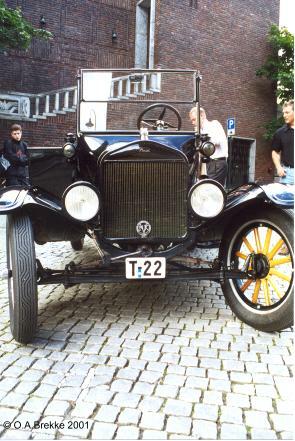 1929-42 plate style, although this vehicle is newer. No coding, owners choose the registration within the pre-1971 series. W used to denote Nordland. RUTEVOGN = Public service vehicle. Antique vehicle series (pre-1971 vehicles), since 1991. 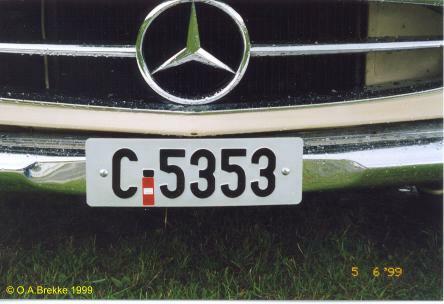 1942-71 plate style. No coding, owners choose the registration within the pre-1971 series. A used to denote Oslo. 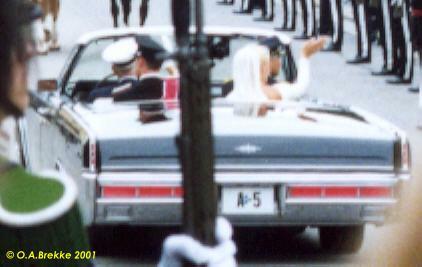 This is the car that was used for the Royal Wedding in Oslo in August 2001, re-plated as A-5 (see article in Norwegian). Antique vehicle (pre-1971 vehicles), since 1991. 1942-71 plate style. 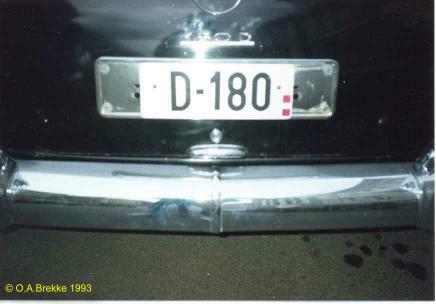 No coding, owners choose the registration within the pre-1971 series. D used to denote Hedmark. 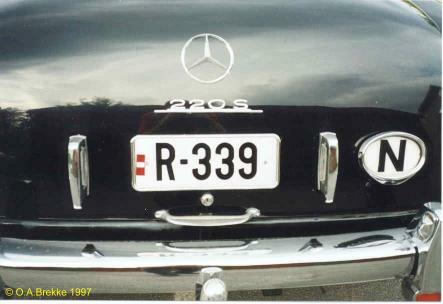 This is a Mercedes 180 D.
Antique vehicle series (pre-1971 vehicles), since 1991. 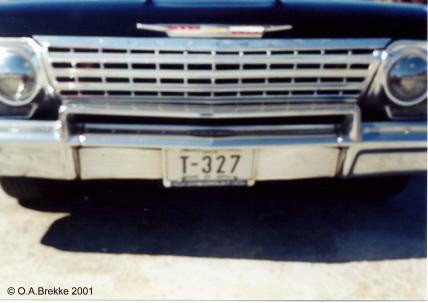 1942-71 plate style. 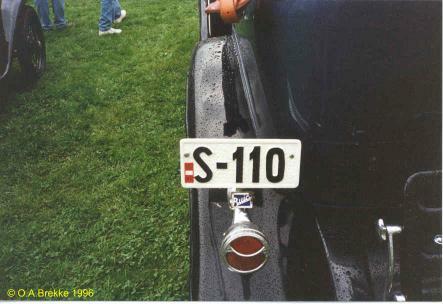 No coding, owners choose the registration within the pre-1971 series. K used to denote Vest-Agder. Antique vehicle series (pre-1971 vehicles), since 1991. 1942-71 plate style. 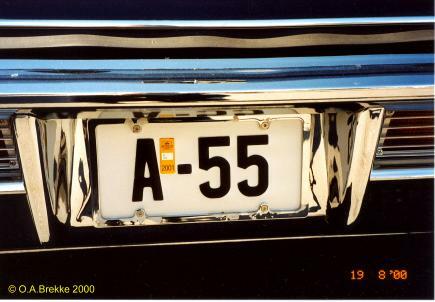 No coding, owners choose the registration within the pre-1971 series. R used to denote Hordaland. Antique vehicle series (pre-1971 vehicles), since 1991. 1942-71 plate style. No coding, owners choose the registration within the pre-1971 series. T used to denote Møre og Romsdal. Antique vehicle series (pre-1971 vehicles), since 1991. 1942-71 plate style. No coding, owners choose the registration within the pre-1971 series. Z used to denote Vestfold. Antique vehicle series (pre-1971 vehicles), since 1991. 1942-71 plate style. Small size. 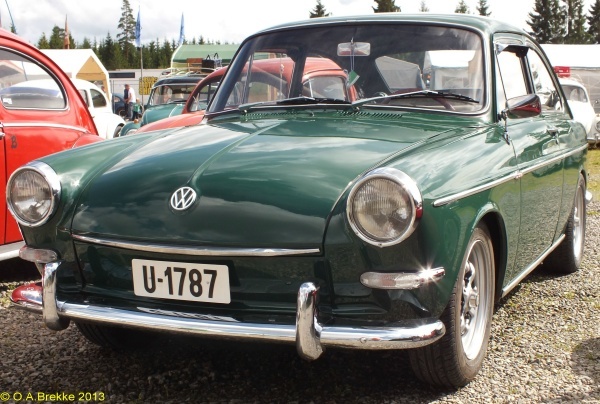 No coding, owners choose the registration within the pre-1971 series. O used to denote Bergen. Antique vehicle series (pre-1971 vehicles), since 1991. 1942-71 plate style. American size. No coding, owners choose the registration within the pre-1971 series. T used to denote Møre og Romsdal. Antique vehicle series (pre-1971 vehicles), since 1991. 1942-71 plate style. No coding, owners choose the registration within the pre-1971 series. Y used to denote Finnmark. Antique vehicle (pre-1971 vehicles), since 1991. 1942-71 plate style. No coding, owners choose the registration within the pre-1971 series. C used to denote Akershus. Antique vehicle series (pre-1971 vehicles), since 1991. 1942-71 plate style. No coding, owners choose the registration within the pre-1971 series. C used to denote Akershus. 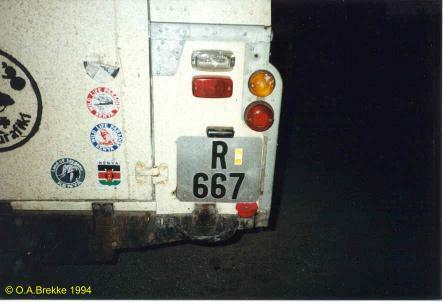 Antique vehicle (pre-1971 vehicles), since 1991. 1942-71 plate style. This is possibly made of reflective material. No coding, owners choose the registration within the pre-1971 series. L used to denote Rogaland. This is a 1933 year model. Antique vehicle series (pre-1971 vehicles), since 1991. 1942-71 plate style. 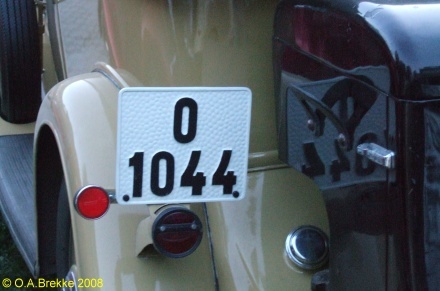 No coding, owners choose the registration within the pre-1971 series. U used to denote Sør-Trøndelag.